Cufflink boxes are designed to present and arrange your cufflinks. The design of this fine box is important to allow suitable access and organisation in a stylish manner. 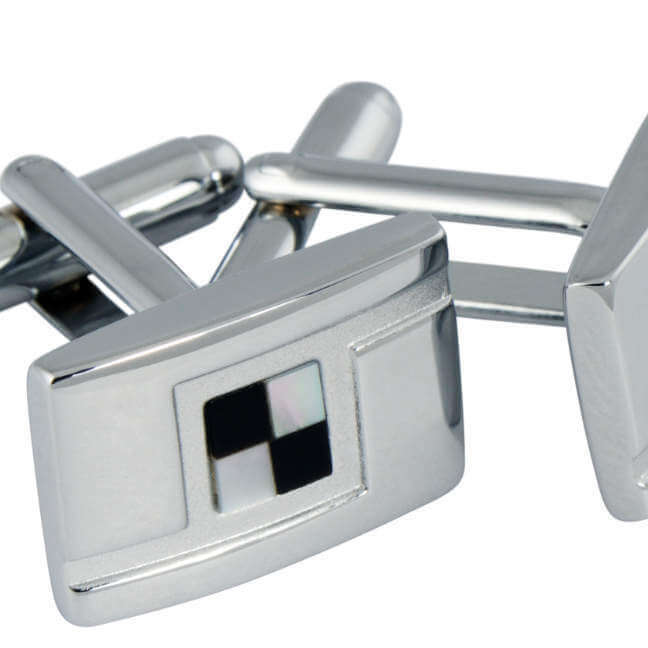 When choosing a cufflink box, consider the number of cufflinks and how you want them presented. You may prefer a small box just to hold a few of your favourite cufflinks, or you may be a collector who needs a series of trays or drawers to present and organise your collection of cufflinks. Consider what other articles you may want to hold, you may also want present your favourite watches and hold your rings or tie clips. A cufflink box can be extended to hold whatever you need. Have a look at the Gentlemen’s Boxes and Watch Boxes for more ideas. Ladies ~ buying a cufflink box for the gentleman you love is a great idea. A decorative box will show that you have taken the trouble to consider something stylish for him. It really is the perfect gift to organise his personal items, keeping them in one place. The ultimate in gentlemen’s cuff link collections, a traditional and stylish handmade box. Large enough to hold everything – watches and an extensive cuff link collection. Handmade wooden cufflink box designed in a simple modern style with contrasting Masur Birch and Macassar Ebony. Great for storing cufflinks and smaller accessories for men. Handmade wooden cufflink box designed in a simple modern style with contrasting Walnut Burr and Figured Maple. Great for storing cufflinks and smaller accessories for men. Handmade wooden cufflink box designed in a simple modern style with contrasting Quilted Maple and Walnut. Great for storing cufflinks and smaller accessories for men. Handmade wooden cufflink box designed in a simple modern style with contrasting Quilted Maple and Maple. Great for storing cufflinks and smaller accessories for men. Handmade wooden cufflink box designed in a simple modern style with contrasting Birds Eye Maple and straight grained Walnut. Great for storing cufflinks and smaller accessories for men. Handmade wooden cufflink box designed in a simple modern style with contrasting Maple and Macassar Ebony. Great for storing cufflinks and smaller accessories for men. Handmade wooden cufflink box designed in a simple modern style with contrasting Pomelle Sapele and Rippled Sycamore. Great for storing cufflinks and smaller accessories for men. Large Cufflink box designed in a simple modern style with masculine dark veneers. Commissioned to store a large cufflink collection. Larger Cufflink box designed in a simple modern style with contrasting warm veneers. Great for storing cufflinks and smaller accessories for men. Cufflink box designed in a simple modern style with contrasting warm veneers. Great for storing cufflinks and smaller accessories for men. Handmade wooden cufflink box designed in a simple modern style with contrasting Walnut Burr and figured Sycamore. Great for storing cufflinks and smaller accessories for men. Handmade wooden cufflink box designed in a simple modern style with contrasting Walnut Burr and Masur Birch. Great for storing cufflinks and smaller accessories for men.